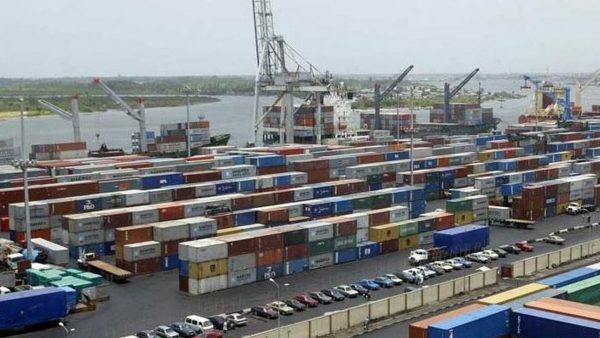 The Nigerian Shippers’ Council (NSC) says it will meet with all Shipping Companies over the $400 planned congestion surcharges on Apapa and Tin Can Island Ports by some Shipping Companies. CMA CGM had on Sunday announced to importers and clearing agents that from October 15 cargoes from any part of the world on EMA CGM ships will attract extra “USD 400 / EUR 850 per 20′ Dry and Reefer and USD 400 / EUR 350 per 40′ Dry and Reefer. The shipping line on Thursday said that its action was based on the disruption of its activities due to the congestion in the two Lagos ports. Ignatius Nweke, Director, Special Duties NSC disclosed in a statement that the meeting would be held on Monday, October. 15 with shipping agencies to resolve the issue on ground. “The meeting was in line with Council’s statutory function of regulating tariffs, rates, charges and other related economic services at the Nigerian Ports. “This meeting would afford us an opportunity to examine this contentious issue, which would add to the costs of doing business at the Ports. “It would be recalled that some Shipping Companies had recently issued a notice to Shippers on the introduction of congestion surcharge of $400 per container on Lagos bound cargoes,” Nweke was quoted in the statement.